Ice cream is one of the favorite comfort food for many. 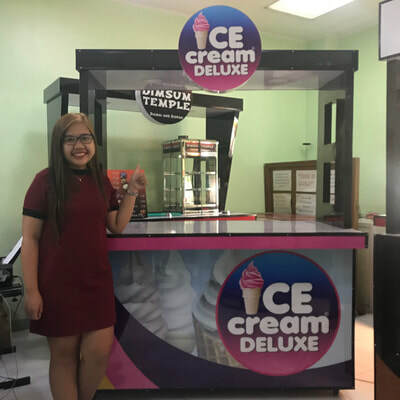 It is a made with sweetened frozen dairy products (milk and cream) and often eaten as dessert or snacks. This can be served and enjoyed in dishes, for eating with a spoon, or in cones. 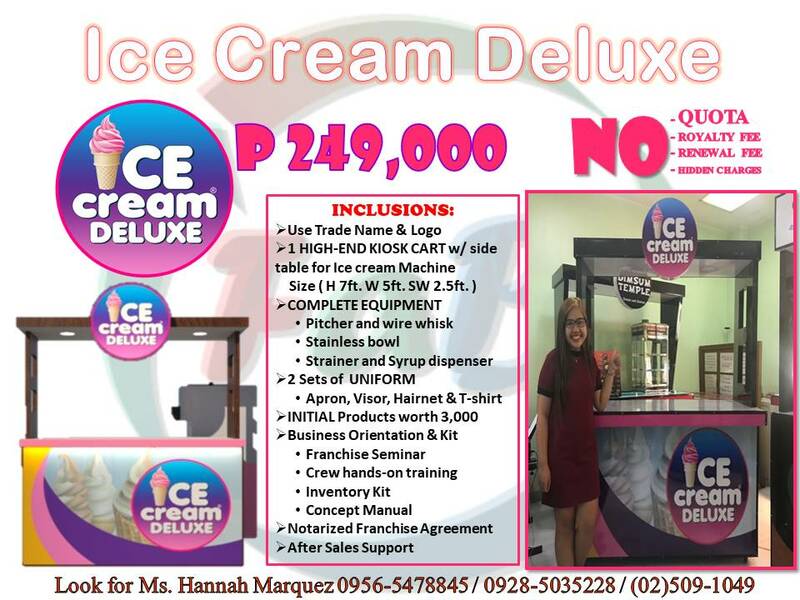 For a starting fee of 249,000 you can now start your own Ice Cream Food Cart though Ice Cream Deluxe!